We managed a recent event for our top clients, to thank them for their support in true Mask style – with terrariums, hip hop and Prosecco! 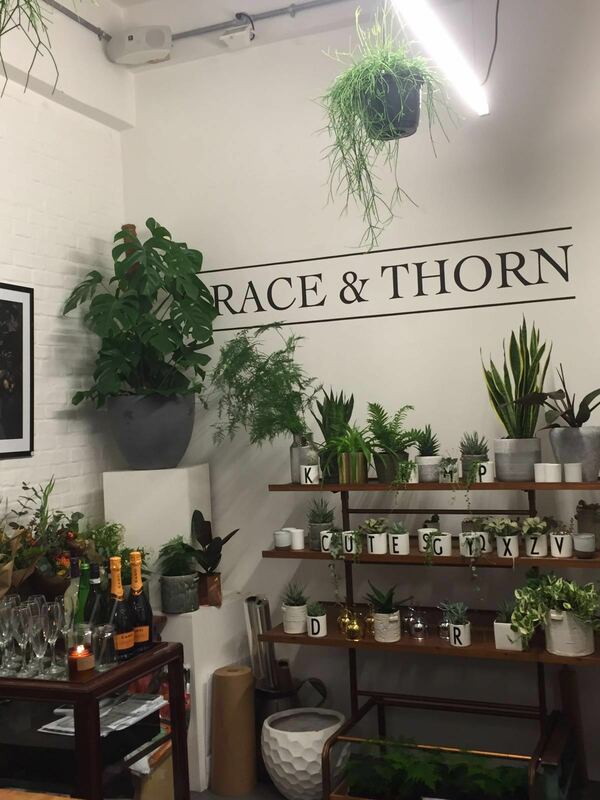 A handful of our clients were invited to florist and plant shop Grace and thorn in Hackney, for an evening of terrarium-making and hip hop. Guests got their hands dirty as they were taught how to make their own terrarium, which they could then take home. We provided everything from the vessel to the succulents, showing guests the steps to create their own miniature garden – fuelled by plenty of Prosecco and a hip hop soundtrack! Grace & Thorn’s naturalist and asymmetrical style has gathered a cult following in recent years. Grace and Thorn’s approach reflects the constant movement and evolution of design, bringing together the contemporary and the classic with unique combinations of texture and colour. No two pieces are ever the same.